Ready to get serious about your landscape plans? Let's work together to transform your ideas into something beautiful. Whether you're starting from scratch to create an outdoor living paradise at home, need landscape design/build help on your commercial property, or are looking for regular landscape maintenance and lawn care, this is the place to begin. 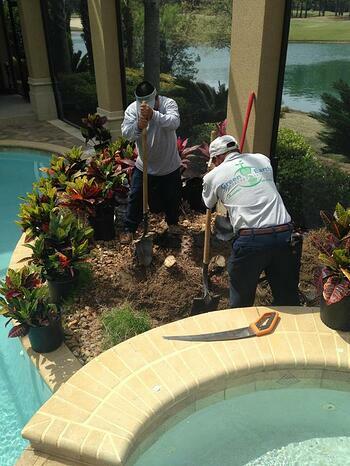 Request a quote or a consultation with one of our landscape professionals. Get the process started in just two simple steps! Step 1: Fill out the form below as completely as you can, including a time window that works best for you on weekdays. Step 2: Once you've completed the form, we'll get in touch to finalize our consultation appointment date and time. Step 3: To learn more about your project, we'll be sending you a design questionnaire. Fill it out as completely as you can before our meeting — it'll save us all time! In no time, you'll be on your way to a more beautiful landscape.